This association is a non-profit, 501(c)(3) educational, historical and scientific numismatic organization founded in January, 1960. The TNA invites to membership all worthy persons of any age. 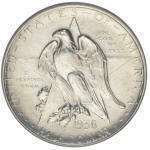 Coin Clubs, Schools, Libraries, Museums, and kindred organizations, who have a sincere interest in the collecting and study of coins, paper money, tokens, medals, and related items are welcome. To promote and advance interest and comprehensive knowledge of numismatics; to cultivate friendly relations among fellow collectors; to hold periodic meetings and exhibits; to provide a place and time to buy, sell, and trade numismatic items; to serve its members collectively, not individually. 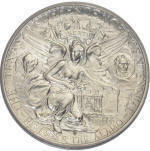 To be a member is to have fraternal affiliation with numismatists of your state; to know their addresses and collecting interests; to have the honor of serving visitors with the names of collectors in their vicinity; to participate in the annual convention; to receive the official publication. TNA membership offers prestige on the state level just as ANA offers prestige on the national and international levels. Each Regular, Junior and Chapter member receives the TNA News for no additional cost. Insofar as possible, this media will keep you informed about your association, and the individual and chapter members. It carries timely articles and features. Its pages are free to all members, to express their views and to contribute articles for the advancement of numismatics. Those seeking information may ask for help through the pages of TNA News. Those having items for sale or trade may advertise for a nominal sum. TNA News is the voice of TNA. TNA will meet in annual convention. Members are entitled to a voice at the conventions. The business sessions are devoted to the procedures necessary to the operation of your state association. Entertainment and time for renewal of friendships is an important part of the conventions. Education exhibits are a vital adjunct. The opportunity to buy, sell and trade is provided for through bourse activity. Regular members are at least 18 years of age. Associate members are a member of the immediate family of a regular member. Junior members are under 18 years of age. Chapter members are those organizations as listed on the previous page. Application for Junior membership must be signed by a parent of guardian of the applicant. Applications for Chapter Membership should be signed by the president. Such other information as required on the application form should be given. Names of applicants are published in the TNA News. If no objections are received by the next issue (approximately 60 days), the applicant is admitted to membership. A membership card is sent with notification of admittance. The official publication will be mailed to all Junior, Regular and Life members.